This was the first episode in a while I thought good enough to make a post for. I love that it's unabashedly beat in our heads that Al Gore was right. Sure this all harkens back to his appearance in 2006 after his Inconvenient Truth movie won an Oscar, but the tone of the episode now definitely is apologetic to how they portrayed him then. He's all smug that he's right, but dammit he deserves to be. The mocking here was aimed towards climate change denier, and I wholeheartedly enjoyed it. If you missed it, all the stuff about school shooting is from earlier this season, where the whole town basically has gotten used to school shootings happening every day. Satan's appearance was unexpected but a nice touch. I like that they haven't changed his personality of basically kind of a good guy. The running jokes with Red Dead Redemption 2 was funny, but got old. But it did remind me that I need to play that game. South Park has kind of moved away from their jaded caring-about-things-is-stupid attitude, which I would attribute that to Matt and Trey becoming fathers. I like that the denier in the restaurant had the same look South Park gives smug liberals. That was a nice touch. This was the best episode in a long time. The whole season has been great, the best in at least ten years. The only weak episode was the one about e-bikes. Usually episodes about what ever is new in Los Angeles that annoys Trey Parker are not the best. 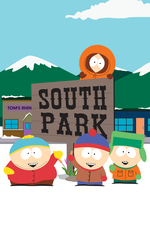 Still, if this was the final season, South Park would go out on a high note. The only weak episode was the one about e-bikes. you mean the Halloween episode with the scooters? I thought that one was hilarious because it does in fact seem like they just popped up everywhere overnight here in DC. And now they're mysteriously disappearing as they're going out of fashion.